JASON JACK MILLER: TEN at 25! Starting my senior year of high school as the world around me smoldered in the wake of what had been a rough year-and-a-half. My parents divorced and I tumbled down a rabbit hole of depression that led to a month in rehab and the subsequent deletion of everything I loved and knew from my life. My friends in high school had been replaced by the people at AA meetings. Older men and women who'd lost jobs and homes. People who'd done hard time in federal penitentiaries. I left my childhood home to move into an apartment my dad shared with a recovering addict, a terrible decision based on guilt and shame. That was the last time I ever saw a lot of my old stuff. Magazines and posters and hundreds of cassette tapes. A large collection of fantasy and Stephen King novels and DUNGEONS & DRAGONS accoutrement. STAR WARS and G.I. JOE actions figures. When I left the Adolescent Chemical Dependency unit at old St. Francis in Lawrenceville, they told me to get new clothes. My Metallica and Queensrÿche t-shirts were a sign of the life I was leaving behind. And even though nobody ever came out and said it, I got the impression I was supposed to emerge from all that turmoil like a butterfly out of a cocoon. Except it didn't really happen that way. I'm not sure it ever does. 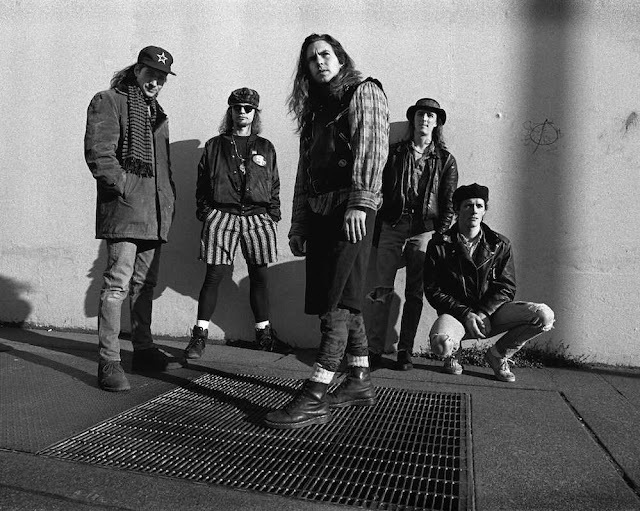 Pearl Jam's TEN came when I realized maybe I wasn't an addict, but just really, really depressed. The pink album cover represented a change from so many blacks and grays. The lyrics were intellectual in a way Guns and Roses weren't. When I first saw the video for "Even Flow" I realized the band didn't wear a uniform or costumes. They weren't putting on airs. They dressed like I did. And they shared my anger and frustrations and expressed them with more subtlety and nuance than a lot of the bands I listened to before. And they were mine. The next year-and-a-half was as monumental as the previous eighteen months had been. I graduated high school and began college at Penn State, Fayette Campus. I started working for Laurel Highlands River Tours in Ohiopyle, Pennsylvania as a whitewater raft guide. When I walked through the parking lot that first morning of Cheat training down in Albright, West Virginia, I heard TEN blasting out of Bo Harshyne's old van. I'd found my new tribe. TEN was the bedrock upon which I'd build the life I'd always wanted for myself. It gave me a directive to seek the freedom I'm always wanted to be the person I needed to be. To dress the way I wanted. To read what I wanted. To explore new ideas and philosophies. And twenty years later, when my writing career didn't seem to be following the trajectory I'd once hoped it would, Pearl Jam began reflecting on what it meant to be a part of something special for so long. 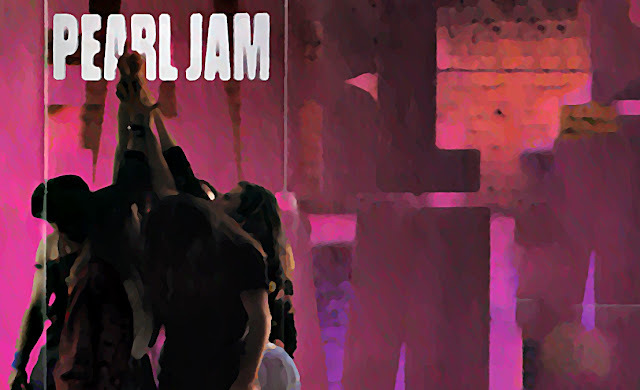 The band and Cameron Crowe released PEARL JAM TWENTY, or PJ20, in 2011, and the retrospective reminded me of their battles with Ticketmaster and their struggles to maintain artistic integrity in spite of so much noise. In that way, the band and their ethos played a massive role in my eventual decision to self-publish a novel, a singular act that virtually every publishing opportunity I have today sprang from. So when I saw today was the anniversary of the release, I stopped what I'd been doing to let it soak in. Twenty-five years is a long time ago, and a galaxy far, far away. Lately I've been joking with Heidi that my real birthday was some twenty years after the actual day I was born. I figured summer of 1994, give or take. My reasoning was that the events of the last twenty years have had as large an impact on my life as the events of the first twenty. And if that's the case, then it makes me happy to think that a little bit of August 27, 1991 is in my new DNA.